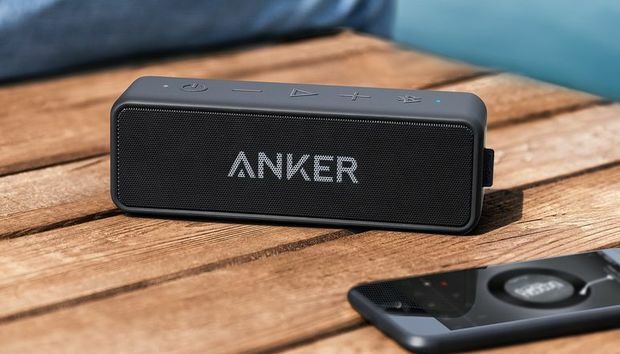 An indoor/outdoor portable speaker lets you take your tunes with you wherever you wander, and right now, you can get Anker’s SoundCore 2 for $30 on Amazon, down from its usual $42. This is the lowest price we’ve seen for this popular Bluetooth speaker. Anker’s speaker connects via Bluetooth for wireless listening, and its built-in mic means you can use it as a speakerphone. The battery lasts for 24 hours of listening time, which means you can keep it playing all day and night. Its exterior (which comes in red, black, and blue) is designed to defend against the elements so it’s ready for outdoor use, and Anker claims that it pumps out strong bass to keep your music thumping. While we haven’t tried this speaker ourselves, it has a strong 4.6 stars out of 5 with over 2,000 reviews. Though some customers say its Bluetooth connectivity could use some improvement, most agree it’s a solid speaker for its affordable price—and now the Anker SoundCore 2 is cheaper than ever before. For more on-the-go audio options, check out our guide to the best Bluetooth speakers.